If you're planning a road trip to New Mexico (NM), you might find it hard to decide between all different things to do in the state. Whatever you enjoy - lake, river, mountains, urban centers, ocean activities or sky-high adventures, the Land of Enchantment is packed with incredible outdoor vacation opportunities. The state's rugged beauty encompasses stretches of the Rocky Mountains, dormant volcanoes, ice caves and fossil sites. All these scenic attractions as well as historical sites and recreation activities are waiting to be explored along the state's beautiful scenic drives. New Mexico has 26 scenic byways to choose from each leading travelers to some of the state's tourist attractions such as railroading towns, ranches, the Carlsbad Caverns, Billy the Kid Museum, the town of Santa Fe and many more. 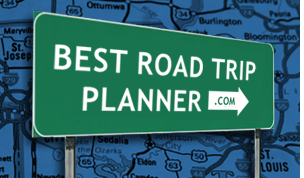 Start your engine and get ready for a great road trip adventure!